I recently had the privilege of photographing Sandy and Brian’s wedding day! They had a gorgeous backyard ceremony in Gig Harbor. We made time to get some great shots of them on the harbor as well. The forecast for the day wasn’t great, but we didn’t get a drop of rain and everything turned out beautifully! The ceremony was full of gorgeous and thoughtful details. 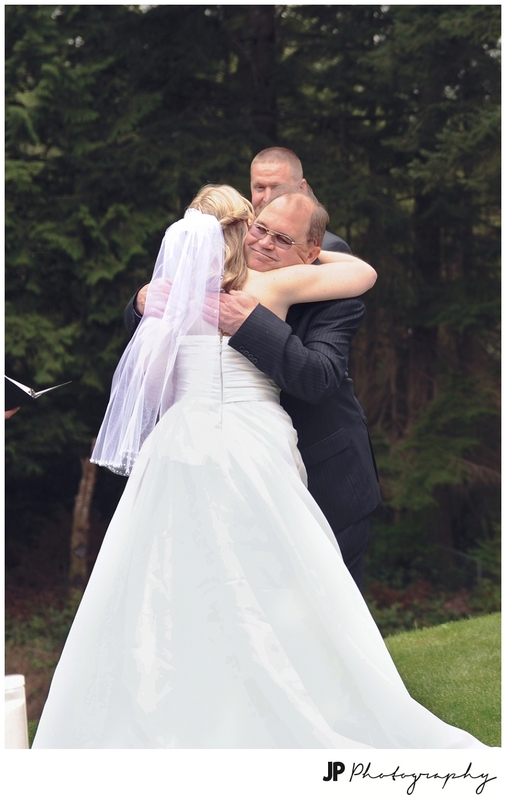 I love this moment of her dad giving her away to her groom. Brian wanted to be sure to include a shot with his cat, Taco! I love that it was important to him, and I LOVE it when grooms have fun ideas like this! Thank you so much for the opportunity to photograph your day, Sandy & Brian! Congratulations and I wish you all the best! Categories: Wedding | Tags: couples, family, gig harbor, marriage, married, photography, Tacoma, tacoma wedding photographer, wedding | Permalink. Beautiful images, I love your attention to the details! You know what? You just proved to me that a wedding can be held, even in a backyard, CAN BE BEAUTIFUL! This bride did a wonderful job pulling it together and you got amazing shots of her day! Wow! 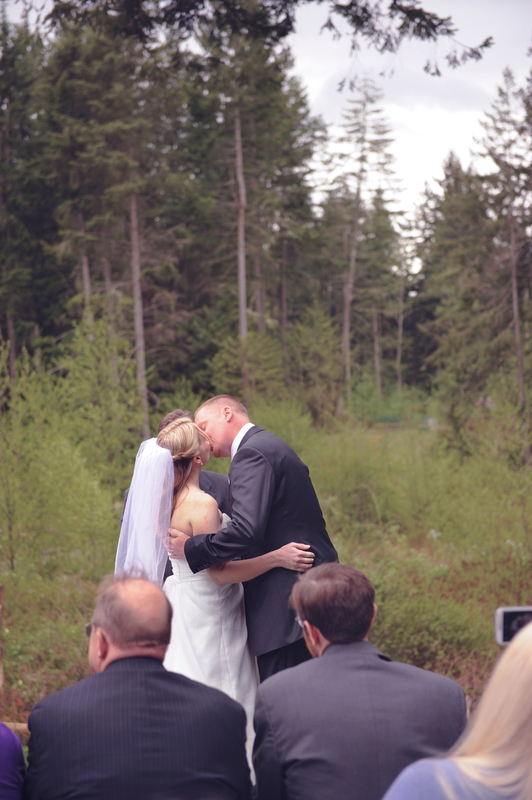 Some great wedding photography in Gig Harbor! I adore the kitty images but all of them are great. Gorgeous photos! I love simple backyard weddings. So beautiful and personal! Beautiful images!! Great job capturing such wonderful memories of their special day! These are so lovely! You’ve captured some very beautiful moments of their special day. P.S The food looks delicious! Beautiful!!! The colors and everything are gorgeous. Beautiful images! Lovely couple. The lighting is perfect. How pretty! The sky is gorgeous and I love the image of them with his cat! However, my favorite is definitely that walkway one with the two boys – phenomenal capture! Wow! So beautiful! Stunning bride and what a great shot of the cake! Love it!! !